Another day, another update to the Fortnite shop. Check out the currently available items in the Fortnite Shop April 13-14 down below. Note: The Fortnite Item Shop typically updates daily at 5 pm PST. With that said, Epic sometimes updates the shop early in preparation for updates so keep that in mind. There are currently five outfits available for purchase in the Fortnite item shop. The rarity of outfits range from Uncommon to Epic. These outfits will be available until April 14 at 5 pm PST. 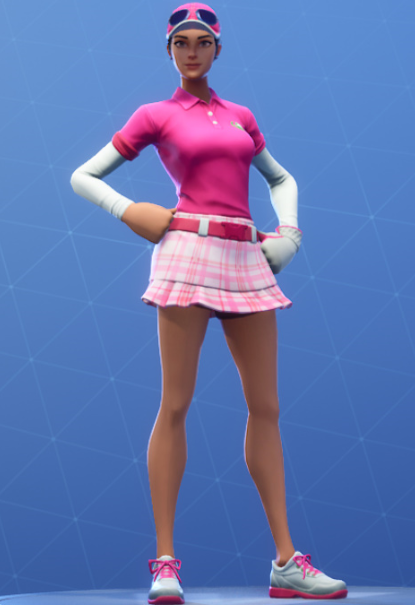 Outfit Description: No mulligans required. Part of the Teed Off set. Outfit Description: Brake for no one. 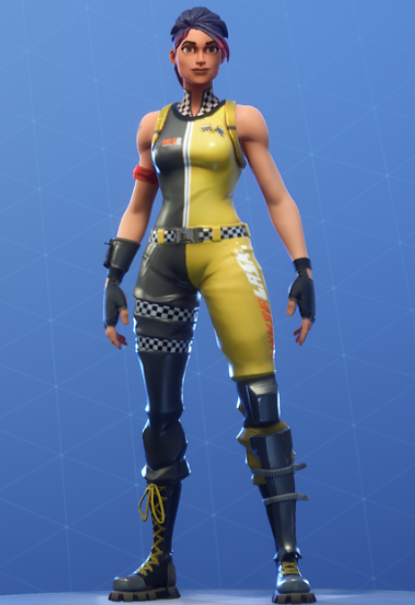 Part of the Racer Royale set. Outfit Description: Fly in the light, and eclipse the sun. Part of the Sun Soldiers set. 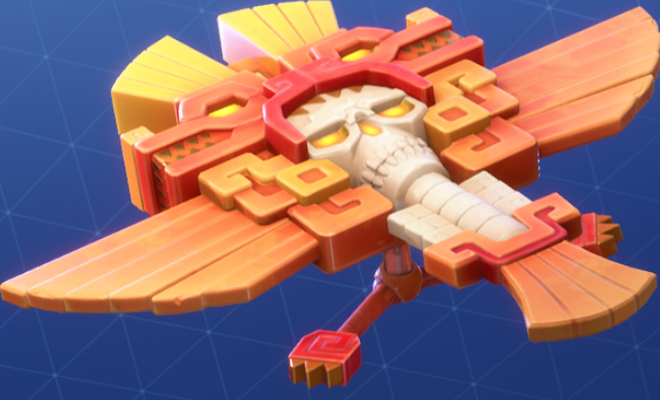 Back Bling: Sun Wings (rare). Outfit Description: All eyes are on you. Part of the Sun Soldier set. Outfit Description: Totally. Totally radical. Part of the Spandex Squad set. Alongside the outfits above there are a number of new cosmetics and items for you to purchase if you are so inclined. These items will cycle on April 14 at 5 pm PST. Emote Description: Stick and move. 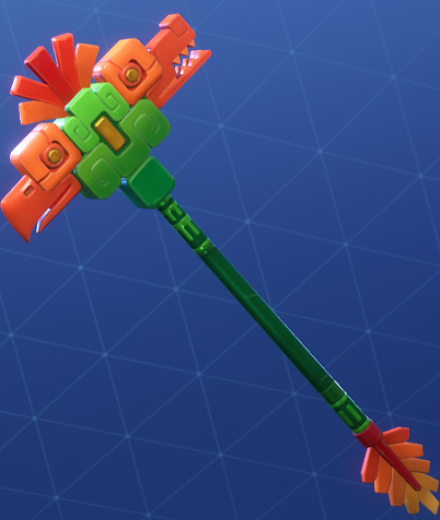 Harvesting Tool Description: Swing for the green. Part of the Teed Off set. Harvesting Tool Description: Axe of the ancients. 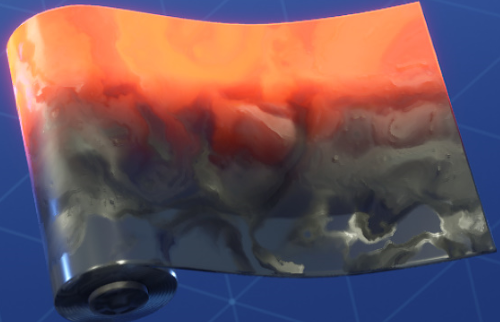 Harvesting Tool Description: Edgy. Part of the Sharp Style set. 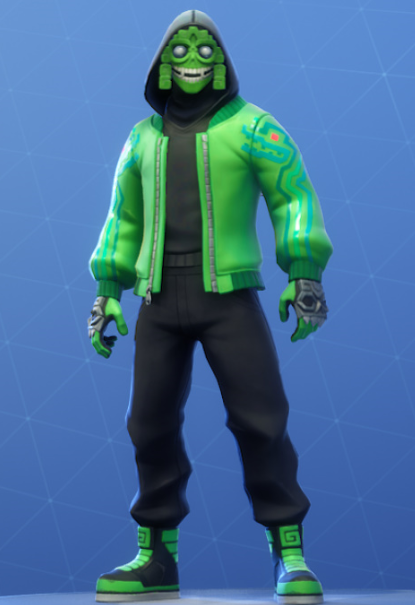 Glider Description: Rise up. Part of the Sun Soldier set. Wrap Description: Show your style (Animated). Glider Description: Dual-rotor tactical chopper. Part of the Tech Ops set. 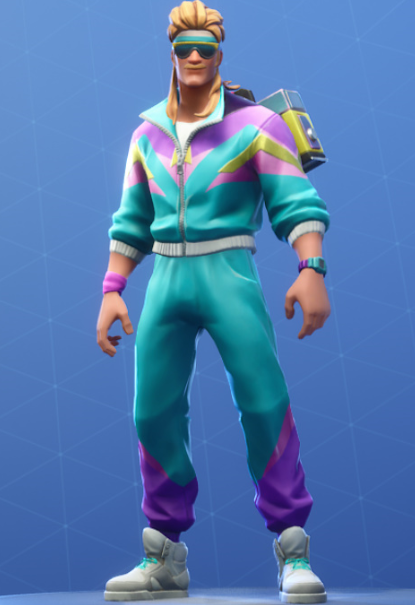 Emote Description: Heat it up. What do you think of the skins and cosmetics currently for sale in the Fortnite Item Shop? Anything you are gonna pick up? Let me know in the comments. Keep it locked to HTR for more Fortnite coverage. Thoughts on what’s for sale in the Fortnite Shop April 13 – 14? Let me hear them in The Pit below.